One thing that I love about living in the tropics? It seems like an excuse for Pineapple Everything. Pineapple shirt? Of course! 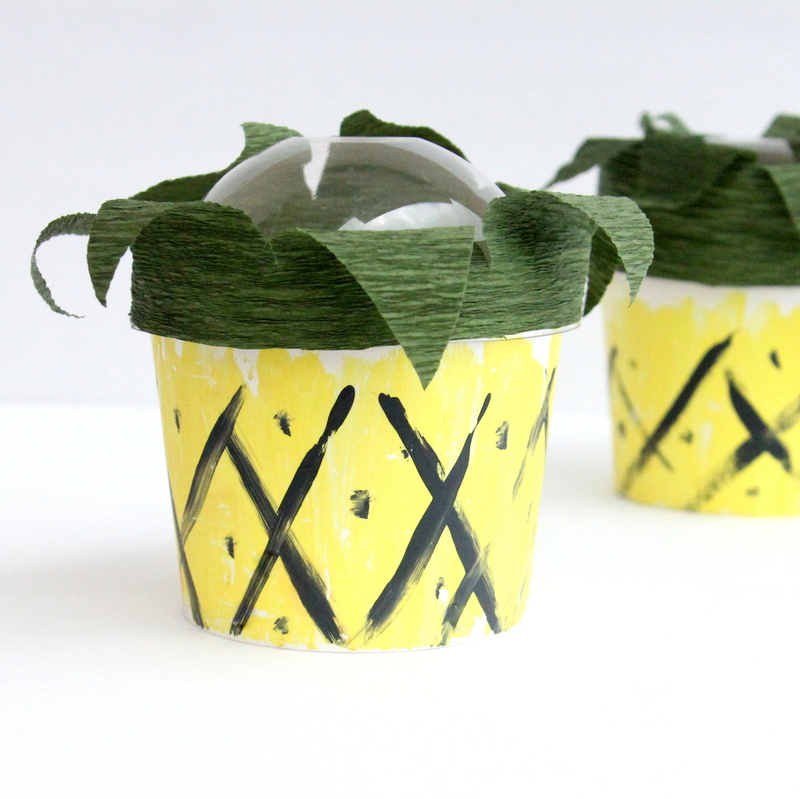 Pineapple snacks? Necessary. 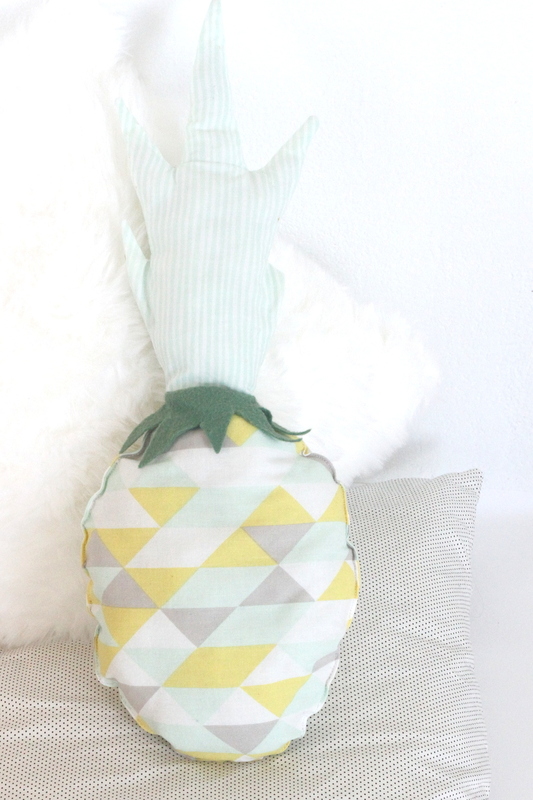 Of course the day would come when a pineapple pillow was requested, and affirmed. This little gem actually currently occupies space in Baby Girl’s nursery (which reminds me that I need to take pictures for a virtual tour!). 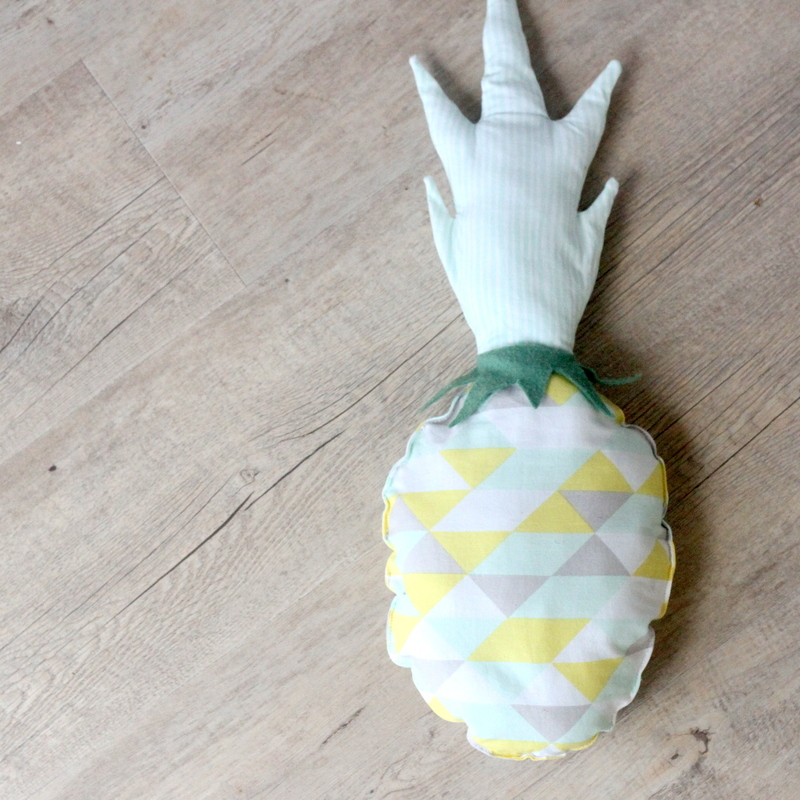 Anyway, this pineapple pillow is a pretty simple project. 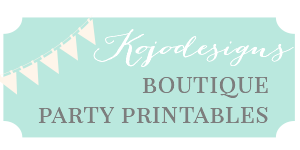 You probably need one too? 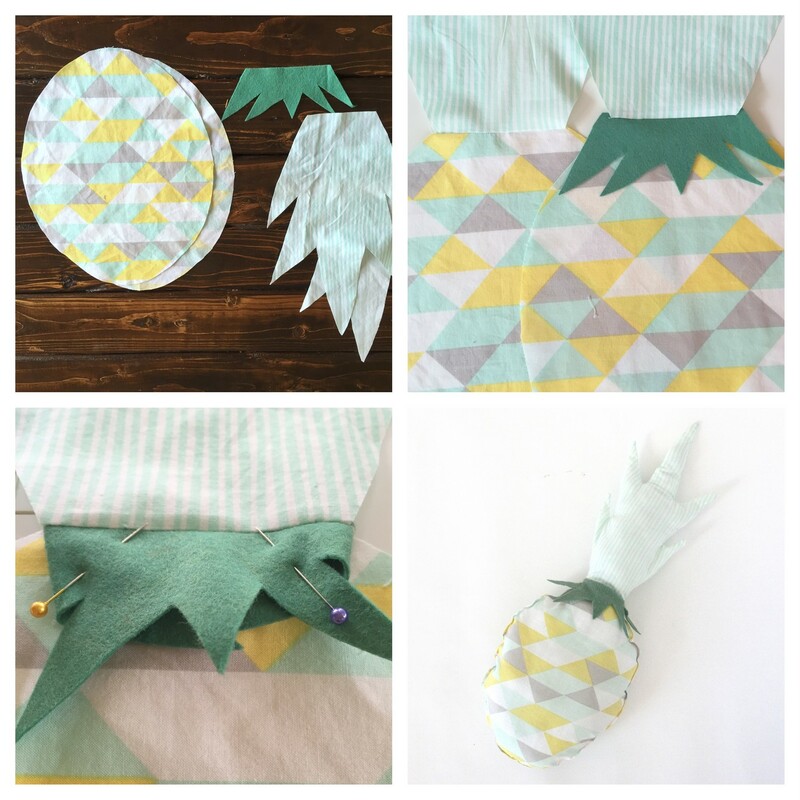 To make- cut out a couple of fabric ovals, two spiky stems, and some wool felt ‘leaves.’ Then, layer the oval, the leaves and stem, right sides of the oval and the stem facing in and the leaves in-between, and stitch together along the top edge. Repeat with the other oval and stem, omitting the leaves. 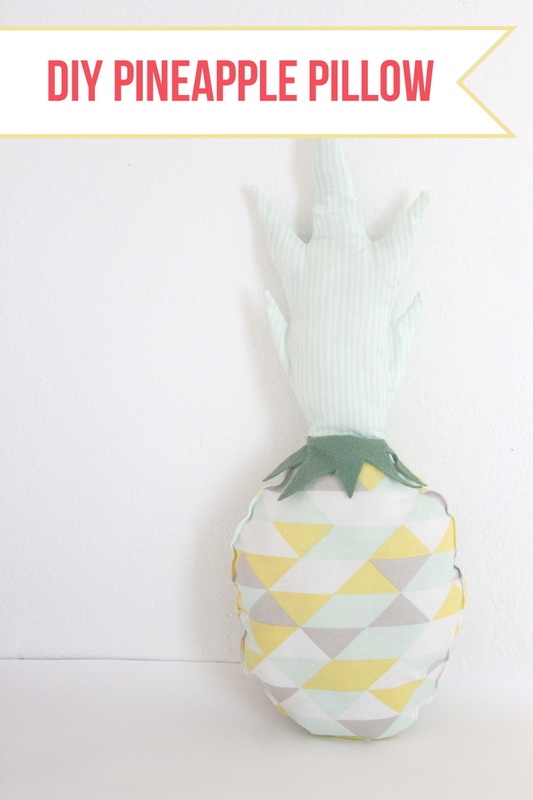 Now that both the front and back pieces are put together, place them together, right sides facing each other and leaves pinned out of the way and stitch around the entire perimeter except for a 3″ gap to turn the pillow right side in. Clip the corners and edges, turn right side in, stuff with filling, and top stitch around the entire perimeter (catching the open gap in the sewing to stitch closed). Done! 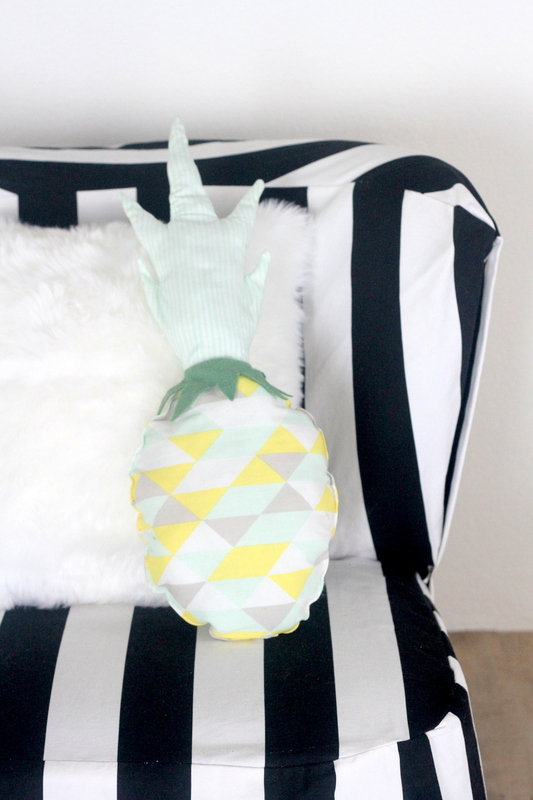 Station in a chair or a nook that needs a little ray of sunshine.